HEY PET!..... IT'S LIBERAL!...... AND HOLLYWOOD LIKES IT!..... 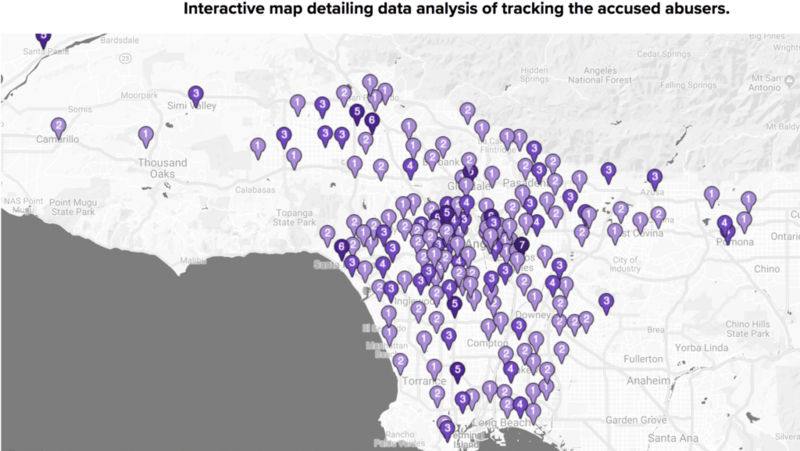 just look at this 2012 map of Los Angeles below with 2012 convictions of pedophiles engaged with assaulting children..... dark purple is under the age of 10 and light purple is age 11-17...... IT'S LIBERAL AND PROGRESSIVE! I can't find it now but there was a raid in LA of the same building where the Hollywood Writers Guild is located by Special Ops-Helicopters landing on the boulevard!!! and clearly children being escorted out-hell to pay Malcolm!!!! Now they've got some STRAIGHT WHITE MALE reading story time to kids - oh, the HORROR, and they even had a sign that said STRAIGHT WHITE MALE STORY TIME (or something like that), and, of course, people bitched and bitched about it.